Research overwhelmingly shows that students involved in extracurricular activities have improved attendance, a higher grade point average, an increased graduation rate, and increased levels of success after high school. Students at CHS can enrich their high school experience by choosing from a variety of sports teams, clubs, and school organizations. CHS offers activities buses at two different times each afternoon to return students home after a meeting or practice. 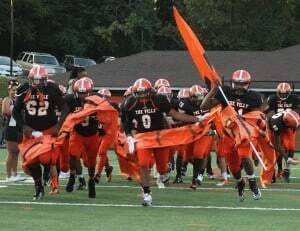 More details about CHS sports and activities can be found at our new web site, gocville.org. 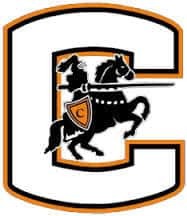 CHS offers JV and varsity team sports for baseball, basketball, cheerleading (competition and sideline), cross country, field hockey, football, golf, lacrosse, soccer, softball, swimming and diving, tennis, track (indoor and outdoor), volleyball, and wrestling. To meet eligibility requirements, each student must be enrolled in at least 5 classes and have passed a minimum of 5 classes the previous semester. All of the following must be completed and submitted prior to participating in athletics. Online Nuerocognitive Baseline Test, administered by CHS. All of these requirements can be found on the schools athletics website (www.gocville.org), click on athletic training, then click on parent/athlete requirements for participation. Please follow up with the appropriate coach for more information. If the coach is not available, please contact the activities director for more information. With over 60 clubs and student organizations, every student can find an opportunity to develop skills and explore interests. Get involved today. For more updated club news, see Canvas. Amnesty International CHS is one of the most active student groups in the region, working on behalf of human rights. Explore the path to college! Learn more about sports-related careers and support CHS athletics! Join your friends to play this outdoor game! What do Madonna, Bill Gates, Albert Einstein, and Will Smith have in common? They all play chess. Fosters skill in debate and forensics, including public speaking, research, writing, and competitions. Prepares emerging leaders and entrepreneurs in marketing, finance, hospitality and management. A student-directed spring theater experience that is both humorous and delicious. Students must try out for this performance opportunity. FCCLA meets with students during class time, because CTE clubs are co-curricular. We plan ways to help the community through food bank drives or collaboration with other organizations. Join like-minded students as they explore what it means to be both an athlete and a Christian. The Fitness and Weight Training Club helps students become healthy and strong through personalized fitness and weightlifting routines. Futsal is the only indoor soccer game recognized by FIFA. Publishes an annual collection of student writing and artwork. Volunteers active in building homes. The International Club offers the opportunity for students from all backgrounds to come together to share cultures and traditions. It is open to all students, with an emphasis on students from other countries, as a place for them to feel welcome and to help them acclimate into the Charlottesville High School community. Prepare for various Shakespeare Competitions, work on language, watch great films, see performances in town. Key Club is an international student-led organization that provides its members with opportunities to perform service, build character and develop leadership. Inspire and develop artistic talents. We meet weekly to discuss world events, research and write position papers, and prepare for conferences where we will represent a country at the Model United Nations. Other activities: fundraising for conferences and spreading awareness of international events important to our members. The club is for students who are interested in mathematics and have done well academically in math. We are a chapter of the national organization. Our purpose is to increase knowledge about and interest in math. We hope to compete and to involve the entire CHS community in mathematics. Students who have been enrolled at CHS for at least one semester of art and photography and have a B or higher (with no major discipline referrals) are invited to apply for membership. Our purpose is to inspire and recognize those students who have outstanding ability in art. For students who demonstrate excellence in leadership, service, character, and academics. Juniors with a 3.0 GPA or above are encouraged to apply during first semester. To increase awareness of the career opportunities in fields of science, and to assist in science tutoring.Members are selected based on requirements of national charter. To encourage minority students to pursue studies in Science, Technology, Engineering and Math. This club works closely with the UVA chapter of NSBE. Help produce the Knight Time Review, the CHS student newspaper. Interested in the outdoors? This is the club for you. We explore lots of outdoor recreational activities in a safe and inclusive atmosphere. The team provides a weekly venue for competitions individually and in groups. The team competes in televised competitions, such as Battle of the Brains and It’s Academic, and in the VHSL Jefferson District. There are approximately 21 matches during regular season as well as independent tournaments. 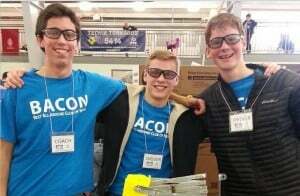 Team members compete nationally on a Knowledge Master team twice a year. Advocacy for Gay, Bisexual, Lesbian, Transgender, and Questioning students and straight peers. Sisterly Love is a mentoring program that connects high school young ladies with University of Virginia college women. Students will discuss various topics regarding sisterhood, leadership, self-esteem, current events, and preparing for college. Our students also complete community service projects. The goal of the Spanish Club is to promote Spanish/Hispanic/Latino culture and language. Membership is open for anyone interested in learning more about these rich cultures, as well as ways to promote Hispanism in our school and community. Visible at all major CHS functions, the Step Team provides students an opportunity to express themselves as both a team and as an individual. SCA oversees all student clubs and activities as a governing body of the school. Major responsibilities of the SCA include planning homecoming festivities, a spring talent show, and fostering communication between students and CHS staff. CHS SCA is a member of the VA Student Councils Association. Explore emerging technologies with your peers! Upward Bound is a federally-funded program that provides academic support to help first-generation college-bound students transition from high school to college. Students spend part of their summer at UVA to have a college immersion experience. Students participate in cultural enrichment programs and tour several college campuses. Applications for Upward Bound are accepted in the spring for freshmen and sophomores. Defends and supports equality for women. For more information about CHS clubs, student organizations or athletics, contact the Director of Student Activities at 434-245-2621 or visit gocville.org.